Here's our collection of fun and easy tortilla flatbread recipes. All the tortilla flatbread recipes have step-by-step instructions. We hope you love them as much as we do! Today is a special day because I am introducing the best hamburger. Why is this one so special? Because it is a tortilla burger! All made from scratch so not only the hamburger but also the bread. While the dough is resting you can make the hamburger and then bake a great bread. I promise you this is a great hamburger. 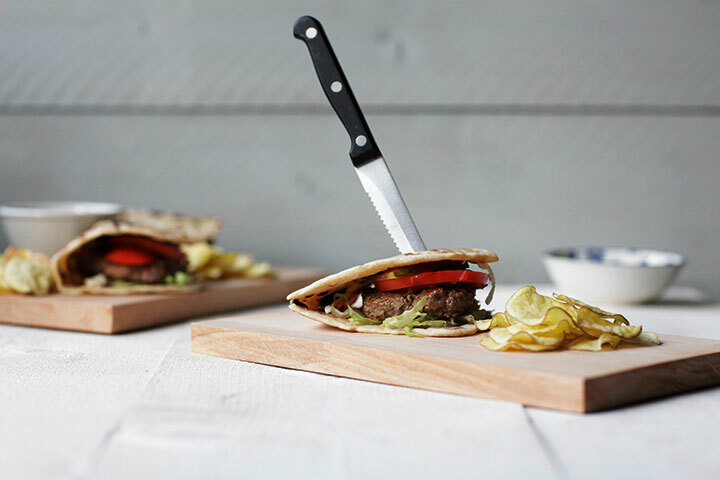 So are you ready to learn how to make the best tortilla burger? Lets get started!